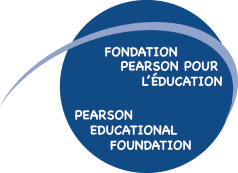 The Pearson Educational Foundation Margaret Manson Award recognizes a graduating student who has overcome significant challenges or obstacles of any sort, be they physical, intellectual or emotional, along the path to graduation. The award is granted by Pearson Educational Foundation to one student in each school and centre of the Lester B. Pearson School Board. She applied it to everything she did during her illustrious career as an educator. She worked to empower schools to integrate students with special needs into the life of their school and to prepare them for a rich life, fully involved in society. 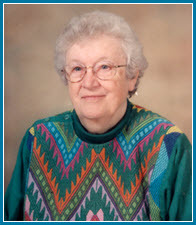 She championed teamwork, matching learning styles and teaching styles, and life-long learning for all. High School and Centre awardees receive a framed certificate, a congratulatory letter, and a cheque. Elementary School awardees receive a framed certificate, a congratulatory letter, and a book which is individually chosen for each student by Maya Byers, owner of Babar Books in Pointe Claire, who also pays for half the cost of the books. These beautiful books are further subsidized by le goût de lire communautaire | community born to read, the well-known association that actively promotes literacy to the very young.